We eat a lot of bananas around here – a lot. We can’t really keep them in the house (I’m surprised I had enough around long enough to make this recipe). And one of my favorite ways to eat bananas (besides banana bread) is to slather peanut butter all over the top of them. I don’t usually turn it into a sandwich, like Elvis did. I just serve the sliced bananas topped with peanut butter on a plate. 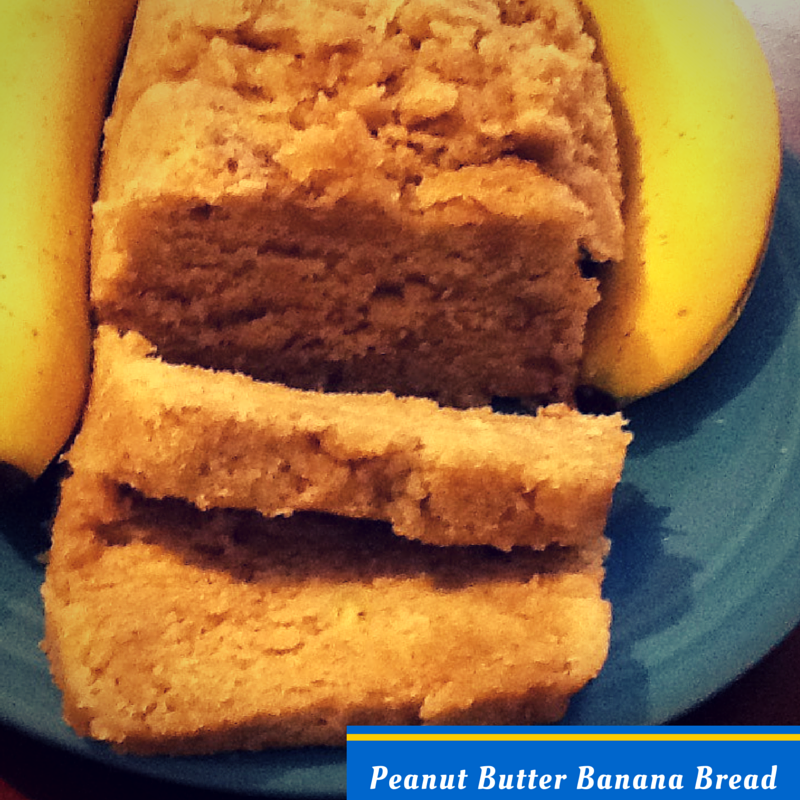 Here’s a microwave quick bread recipe inspired by an Elvis favorite – peanut butter and banana. In a medium-sized bowl, mash up the the bananas thoroughly with a metal spoon or fork. Fold in the margarine or butter and combine well. Add in sugar, egg, and vanilla, and beat together until you get a light, slightly fluffy mixture. Stir in flour, baking powder, salt, cinnamon, and milk. Mix together for about 30-60 seconds, until thoroughly combined (batter may still be lumpy, depending on how much you mashed the bananas). Lightly grease a microwave-safe loaf pan. Pour batter evenly into the pan. Microwave on Medium High (Power Level 5) for 6 minutes. Rotate the pan once halfway through, if your microwave doesn’t have a turntable. Then, microwave on High for 4-6 minutes. Bread will spring back when touched, and the top will look slightly dry. Remove from the microwave and keep covered with the wax paper for about 15 minutes. I dare you to try this bread recipe and not fall in love with it! It’s probably the best banana bread I’ve ever had.